IAS Solar Telemetry UnitTM can be added to any Modbus-capable engine controller from FW Murphy, Controls Inc, Lofa, Basler and many others. Put your pump, center-pivot, compressor, genset, or other engine-driven device on-line today! The IAS Solar Telemetry UnitTM can be used in conjunction with the IAS IO ExpanderTM. generator, compressor or any other device using a compatible controller. Monitor and control your resources remotely! IAS HarvestWatch™Access your device from your computer or any mobile device. Access real-time and historical data. Track engine hours, engine health and any parameter available from the engine controller.Please use the contact form below to request more information. 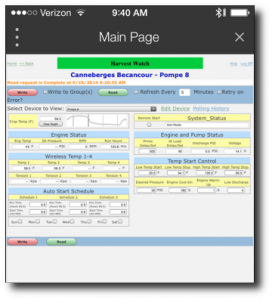 Access your pumps on your mobile device. 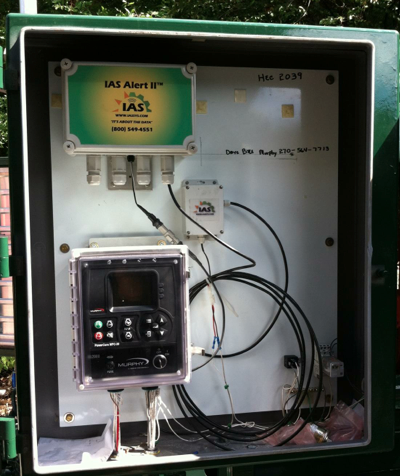 To find out more about adding IAS telemetry to your equipment sign up for our newsletter!